Spring is just around the corner and soon the weather will be perfect for outdoor activities. 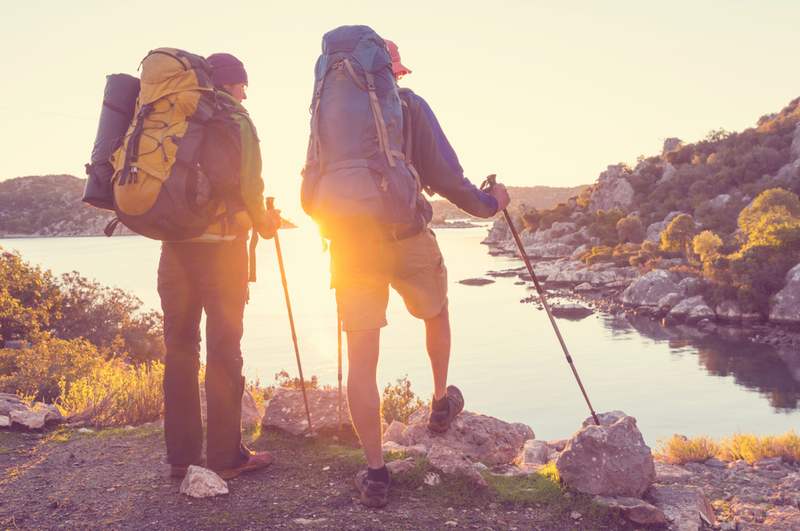 Running, cycling, doing yoga in the park… But have you ever tried trekking? It’s a form of exercise that doesn’t require perfect weather conditions. You can take the pleasure from walking, enjoying the beautiful nature, while working out at the same time. And be careful – it’s addictive. What to wear during such an adventure? Having already chosen your path, preferably in the mountains or other wild scenery, it is time to choose your perfect trekking outfit. Professional trekking clothes are a must if you are planning to walk multiple days in a row and the weather is not stable (and it usually never is in the mountains!). It’s important to invest in good quality pieces: trekking shoes, waterproof jacket, long sleeve base layer shirt, merino wool socks, or trekking backpack. Trekking clothes need to make you feel comfortable – that’s for sure, you will be walking long distances after all. But they also have to keep you warm. Have you heard about merino wool fabric? It provides maximum thermal insulation, so reach out for clothes with high content of this material. E.g. merino wool socks, that can keep your feet warm and guarantee superior comfort, or merino wool base layer, for which your body will thank you even in the coldest weather. You can find a wide array of merino t-shirts that deliver all the greatest benefits of the fabric while looking stylish at the same time. Pouring rain and freezing temperatures are no longer a problem, if your outfit is waterproof. Insulated jacket is definitely a must-have due to unpredictable conditions on your path – it should preferably be lightweight and easily compressed. Also, don’t forget about waterproof trekking pants. You will stay dry and comfortable in them! They usually have a flattering fit and even a zipped pocket to keep your belongings safe. While hiking, shoes are your best ally. Opt for waterproof hiking shoes and you won’t regret it. Try those with goretex upper – it’s the best waterproof technology available on the market. The sole of the shoe should be thick to optimize your performance. Hiking boots for women are equally as effective, but more delicate in style. Any lady will rock this sporty look on the walking trip. All the best trekking clothes are available for you to order at flybery.com – we assure that they will provide you an ultimate comfort and freedom during your adventure, whatever the weather! Go into the wilderness, explore, and don’t worry about the rest.